It seems that when traveling, even locally, there are more and more large trucks sharing the roadways with us. With interstate highways under constant construction and maintenance it becomes an even bigger challenge to share the roads with these mammoth trucks. So, it stands to reason that with more of them on the road with us, driving is ever more dangerous. Accidents involving commercial trucks, such as 18-wheelers, are much more deadly that accidents involving passenger vehicles. In most cases, roughly 75-percent of those killed and critically injured are passengers in cars, vans and small trucks. This is no surprise considering the size and weight of a big-rig. In addition to the danger of a truck driver’s own negligence, the vehicle itself can create a danger to other drivers. Sometimes, trucks are loaded improperly or are not adequately inspected before the driver begins his run. 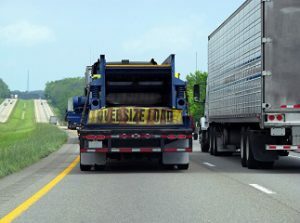 Mechanical breakdowns while a truck is in operation can lead to loss of control over the 40-ton vehicle. Poorly loaded freight can fall from the truck and damage and injure unsuspecting motorists. These are just a few of the issues facing owners and drivers of commercial trucks. Seeking the appropriate medical care is, of course, vital to protecting your life and well-being. Accidents of this type can lead to mountains of medical bills, and a lifelong need for medical care. This is overwhelming, and victims often are tempted to accept extremely low settlement offers from insurance companies. Of course, insurance companies attempt to close the case as quickly as possible, saving themselves time and money. But, if you are involved in such an accident, don’t fall for the first offer. It is important to remember that these insurance companies are looking to settle your case for as little money as they possibly can, all for the sake of profit. Talk with a personal injury lawyer before you make any decisions. This is what they do, and they are experts at fighting these insurance companies and looking out for your best interests. If you need an attorney, please consult our Online Legal Directory to find an attorney in your area.